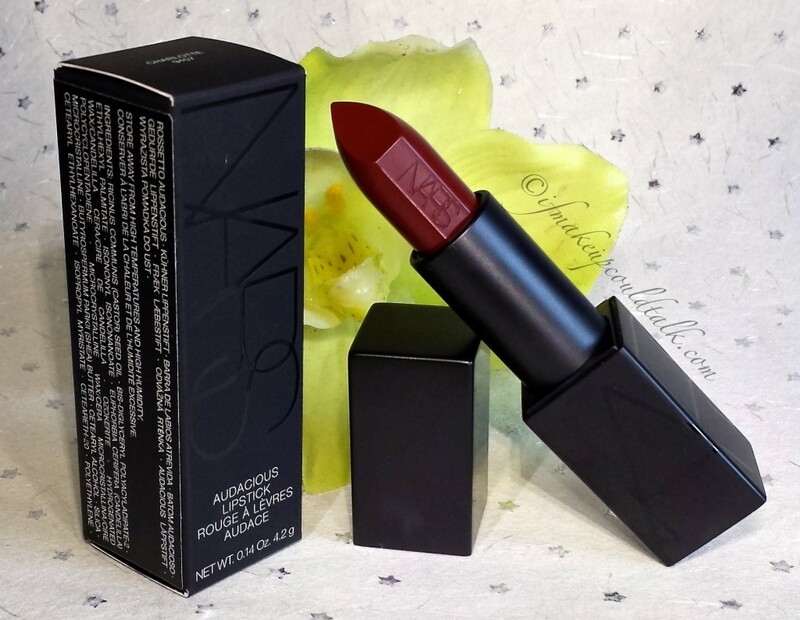 Home Brands and Products Nars Audacious Lipstick in Charlotte. 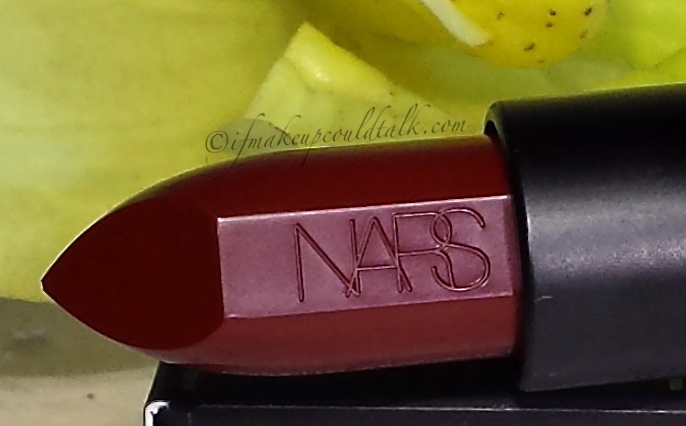 Nars Audacious Lipstick in Charlotte review, swatches and comparisons. Nars Audacious Lipstick in Charlotte swatch. Smooth saturated color that glides on the lips without any tugging. Lasts for 4 hours on its own, however when paired with a lipliner/base the wear is extended to 5-6 hours. Castor oil is the first ingredient which makes the lipstick very hydrating. Leaves behind a noticeable stain when the color has faded. Layers well over an existing layer. Formulated without any fragrance, parabens, or mineral oil. Fantastic sleek black packaging (non-rubberized) with a modern magnetic closure. Can be used with other lipstick brands to create a unique shade. I have used Charlotte to brighten YSL 205 and the resulting shade was stunning. The Audacious Line houses 40 delectable shades: 14 of these shades are available through Sephora.com but not in-store (Audrey, Barbara, Bette, Brigitte, Liv, Catherine, Deborah, Grace, Greta, Janet, Leslie, Marlene, Natalie, and Vera); 10 of these shades are exclusive to Barneys NY (Carmen, Dominique, Ingrid, Julie, Kelly, Marisa, Sandra, Silvia, Vanessa, and Vivien). Highly available from a variety of retailers. Charlotte tends to feather into my fine lines by the third hour of wear. A quality lip liner/base is essential when wearing this color. These do not play well with glosses of any kind. When paired with my Dior Addict Fluid Sticks (reviewed here and here), the color started to break down after a couple of hours. I was left with faded lipstick in the center and a strong outlining color on the perimeter of the lips. NOT CUTE! Tends to photograph more like a brick-red than a burgundy. Nars Audacious Lipstick in Charlotte lip swatch. 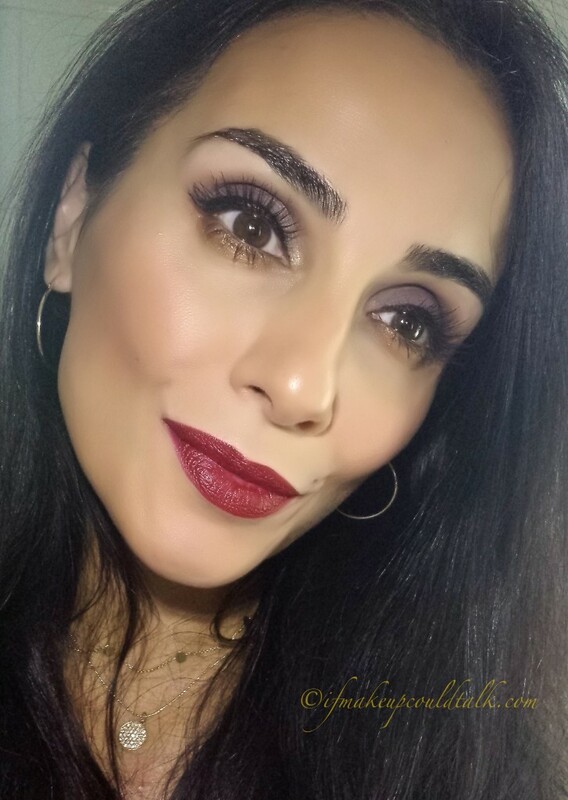 Nars Audacious Lipstick in Charlotte over It Cosmetics YLBB Waterproof Lipliner in Perfect Red. After roughly taking 30 pictures, the first photo, captured what I believe to be an accurate color depiction of Charlotte. However, in the second photo, Charlotte took-on a more brick-red appearance. In person, the burgundy tone was definitely noticeable and the color faded into a lasting stain. 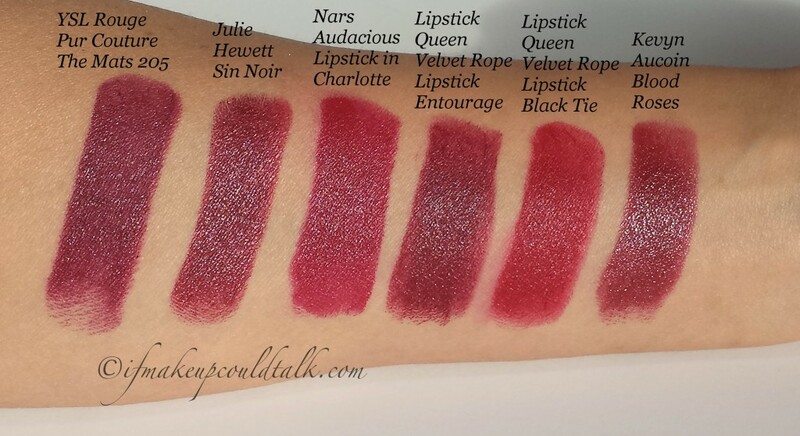 Julie Hewett Sin Noir, Nars Charlotte, Lipstick Queen Velvet Rope Entourage, Lipstick Queen Velvet Rope Black Tie, and Kevyn Aucoin BloodRoses. YSL Rouge Pur Couture The Mats 205 (reviewed here) has a strong plum tone. This color is clearly deeper and more robust than Charlotte. This formula is not as smooth as Charlotte, but the non-feathering aspect and amazing longevity are noteworthy. 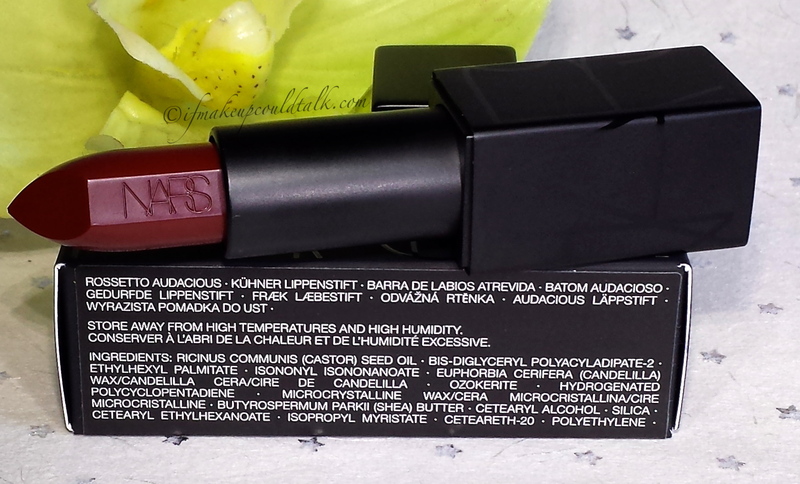 YSL The Mats Lipsticks have the most potent staining effect than any other lipstick I own. Julie Hewett Sin Noir is much more brown in its overall tone when compared to Charlotte. The application is not as smooth as Charlotte, but the lasting power is quite impressive. 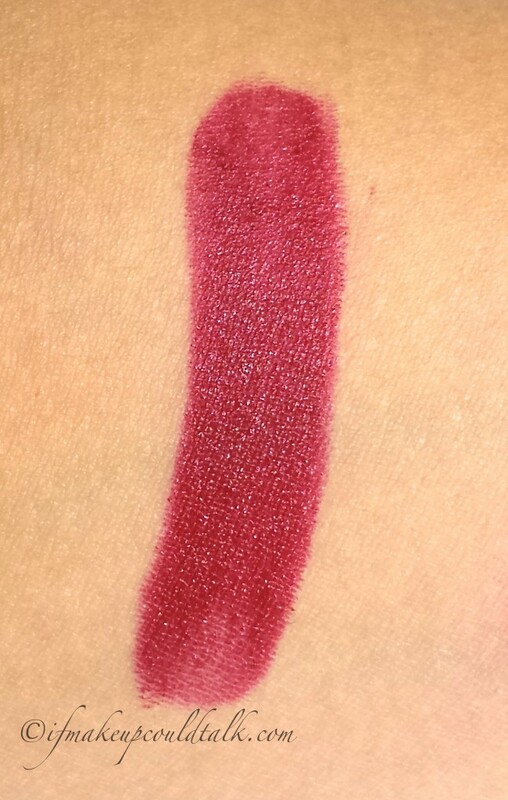 Lipstick Queen Velvet Rope Entourage is deeper and has more of a berry undertone when compared to Charlotte. The velvet matte finish is so attractive and the silky smooth formula is unsurpassed…need I say more? Lipstick Queen Velvet Rope Black Tie is brighter and contains less burgundy pigment when compared to Charlotte. Just like Entourage, the formula is simply the best. Kevyn Aucoin Blood Roses is deeper in tone and glossier than Charlotte. This is one lipstick that can easily be classified as hydrating, but the longevity is somewhat compromised due to the emollient nature of the formula. 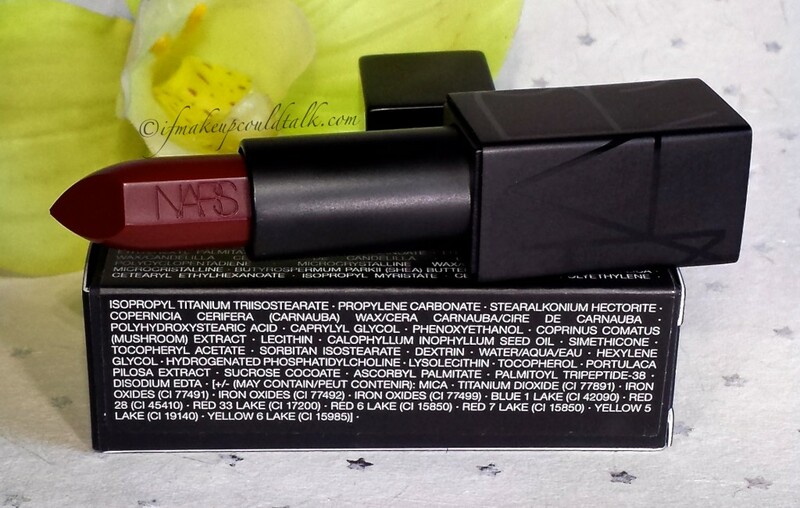 Ingredient List for Nars Audacious Lipstick in Charlotte. 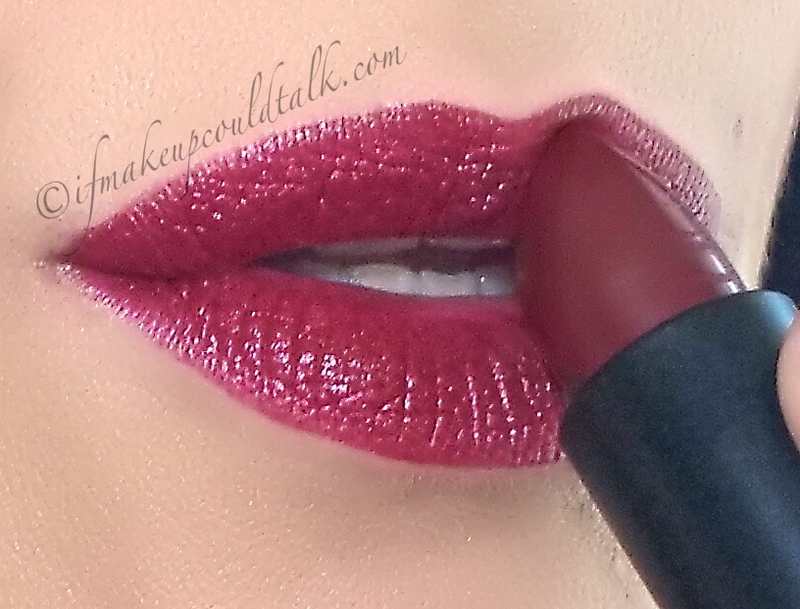 Makeup would tell you Nars Audacious Lipstick in Charlotte is a truly sensational color and formulation. I was rather impressed with how smoothly the color applied and the level of pigmentation. Will Charlotte replace my beloved LQ Entourage? No..there simply isn’t any other brand that can come close to Poppy’s formula. However, Charlotte is no slouch, she performs brilliantly and is a proud achievement from an amazing brand. Have you tried any Audacious lipsticks to date? Be well, stay safe and be happy.